Great 4 bedroom Vacation Villa with outstanding floorplan and beautiful pool with spa on a freshwater canal. This spacious 4 bedroom, 2.5 bathroom Villa comfortable sleeps 8 Guests. 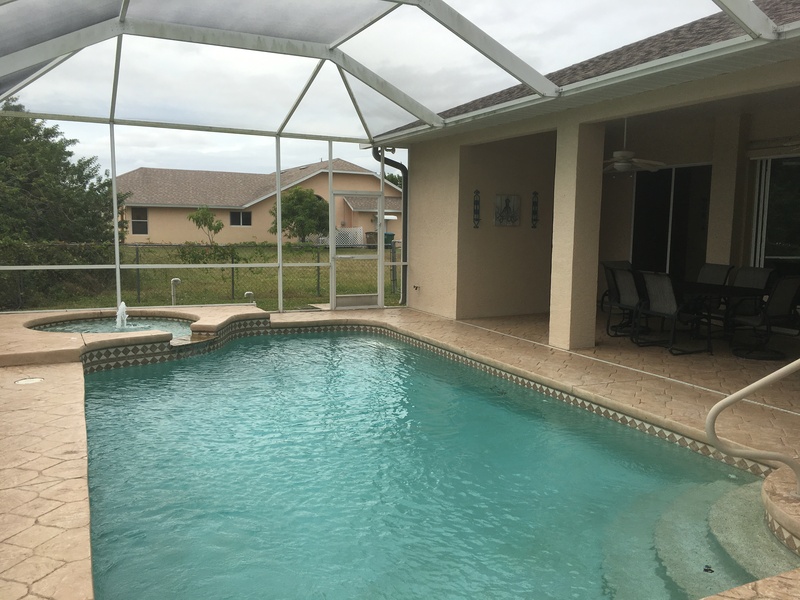 The large southern facing pool and lanai is providing privacy with a wonderful view over a wide freshwater Canal. 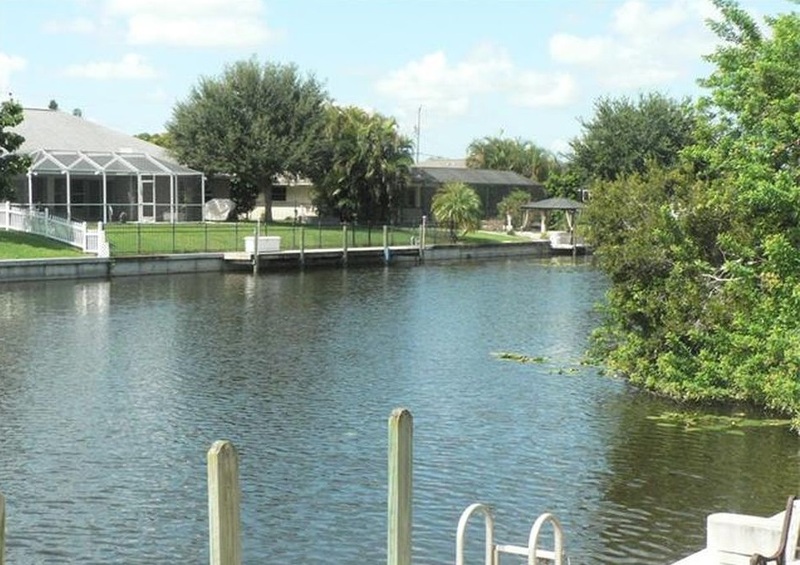 The property gives access to the large canal which connects to the beautiful Apache Lake via a private concrete Boat Dock. 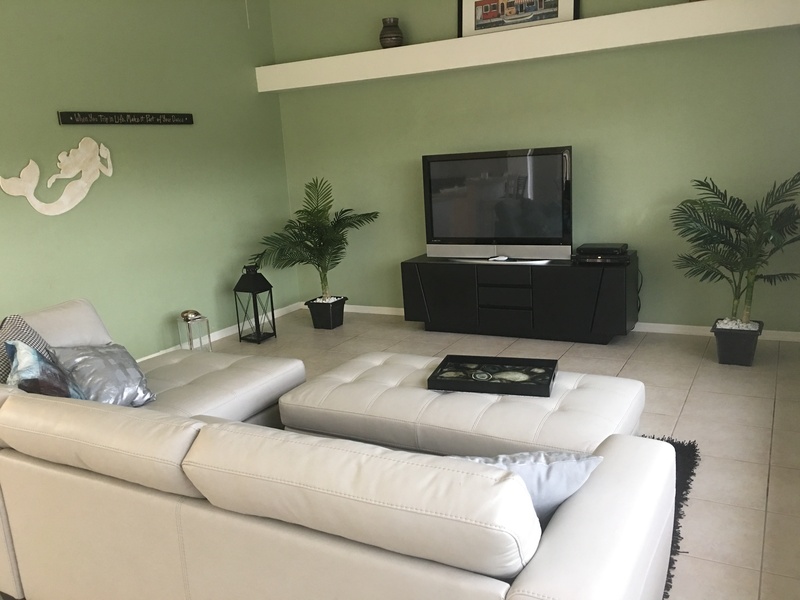 The house is located in quiet NE Cape Coral close to Del Prado Blvd and Pine Island Road with plenty of shops and restaurants. Cleaning fee: $180. Deposit: $750. Electricity: $25/week for additional KWH: $0.13/KWH. 6% sales tax and 5% tourist tax not included.